ANGRA's Guitarist Rafael Bittencourt on ProgPower USA: "They didn't try to scale it up and make it crazy-big. That keeps it very true and it's the biggest prog-metal event in the States"
Angra guitarist Rafael Bittencourt has proven himself to be among the most dedicated bandleaders in the metal world. Despite a constantly rotating roster that recently saw his fellow founder and guitar-slinger Kiko Loureiro leave for the greener pastures of Megadeth, Bittencourt has kept his beloved band both alive and relevant for nearly twenty years following the implosion that saw the exit of their rhythm section and their charismatic original singer Andre Matos. 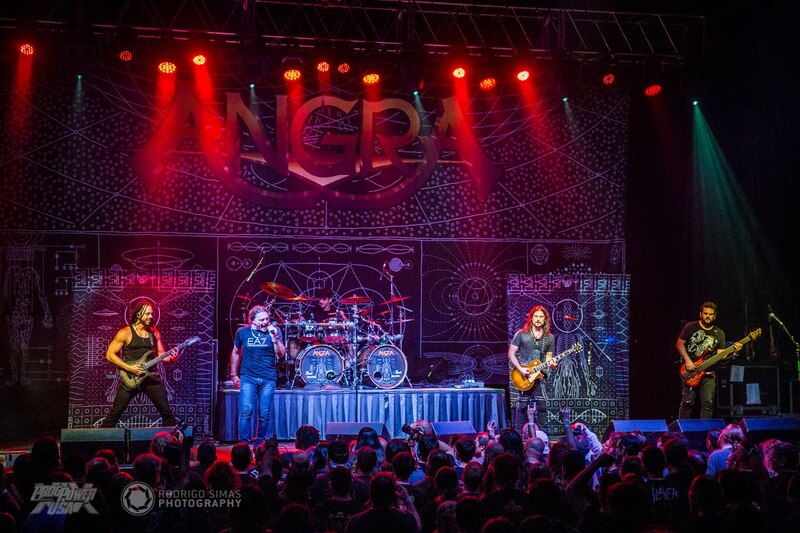 With new guitarist Marcelo Barbosa (Almah) in tow, Angra are embarked in their biggest tour ever, currently hitting the United States in support of their new album ØMNI. Bittencourt, drummer Bruno Valverde, and longtime bassist Felipe Andreoli were gracious enough to join Sonic Perspectives writer Gonzalo Pozo just before they were to take the stage for their fourth performance at the prestigious ProgPower USA in Atlanta, headlining the second night of the event. Check out their conversation in the video below, or subscribe to our Podcast in several platforms to listen and be notified about new interviews and contents we publish on daily basis.